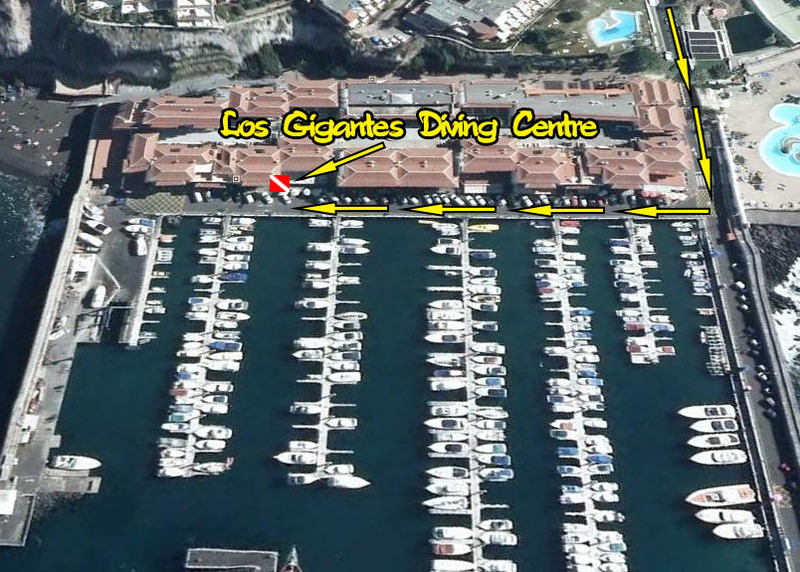 Los Gigantes Diving Centre is located inside the Marina Arcade behind the La Paella Restaurant which is directly between pier 5 and 6. We are on the marina in Los Gigantes. Our location is just a few minutes walk from from Puerto Santiago and a short taxi ride from Playa Arena. Los Gigantes is approximately 45 mins. from the airport. Transport presents no problem as the village is served by a comprehensive bus service as well as numerous taxis and car rental companies. From the south airport of Tenerife, take the TF1 motorway past Los Cristianos and Las Americas. The motorway ends at a roundabout, turn left here and follow the coast through the villages of Armeñime, Playa San Juan and Alcala. Stay on the main road until you reach another junction and take the left, Los Gigantes is first right. Follow the road through the village, all the way down to Los Gigantes marina and Los Gigantes Diving Centre is located inside the Marina Arcade behind the La paella restaurant which is directly opposite our boat on pier No. 6. Los Gigantes lies at 28 15 N, 16 50W, only 5 degrees north of the tropic of cancer. Situated on the south west coast of Tenerife, beneath the magnificent 500 metre cliffs, Los Gigantes Diving Centre offers diving on the most sheltered part of Tenerife. The islands weather is governed by the North East Trade Winds, the cliffs and the geographical location of Los Gigantes (see map of Tenerife & photo of Los Gigantes) make the village the warmest & (most important from a diving point of view) calmest resort in Tenerife. A small resort for Tenerife, Los Gigantes offers everything a family or diving group could want and is within a reasonable travelling distance of the many attractions, other than diving, which Tenerife has to offer. 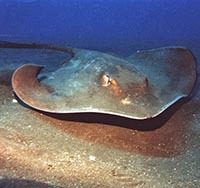 Further general tourist information can be accessed from Tenerife Guide.